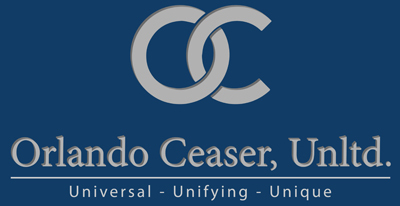 Orlando Ceaser's speeches contain motivational messages and practical strategies focusing on leadership, personal development, powerful decision making, innovation, and diversity. Presentations will be passionately delivered to meet the needs of your organization. The focus is to motivate and inspire people to become better leaders. His Unlock Your Leadership Greatness series (books) helps to improve leadership results, organizational culture, and team and dream performance. Organization climate change is also addressed as he tackles global warming in the workplace, based on his book Unlocking the Secrets of Ozone Leadership. His presentation style involves humor, pragmatic suggestions, and time-tested strategies to excite and challenge people to higher levels of engagement, inclusion and creativity. Workshops are interactive ensuring that each participant is thoroughly engaged in the content and how they can apply it to increase work performance. Whether you’re looking to increase engagement levels, sales or productivity goals, or to motivate your staff or inspire students, the unique workshops will help you accomplish your objectives. Powerful Decision making will help increase innovation and participants ability to solve problems using a decision-making model to enhance brainstorming techniques (The Know System). Leadership skills will increase through concepts explored from the books Unlock Your Leadership Greatness and Unlock Your Leadership Greatness - For Students (college). 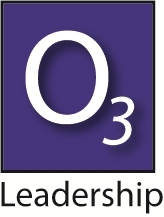 An innovative leadership approach is pioneered through Unlocking the Secrets of Ozone Leadership. Contact Orlando Ceaser at his offices in Chicago and South Barrington, Illinois, to learn more about his work as an author, professional speaker, coach and workshop leader. Thank you for your interest! Please fill out the form below, along with your e-mail and a detailed message, to request more information about any of our services. A confirmation will appear after you click "Submit." We look forward to hearing from you. Contact us by phone, e-mail, or the form below today!